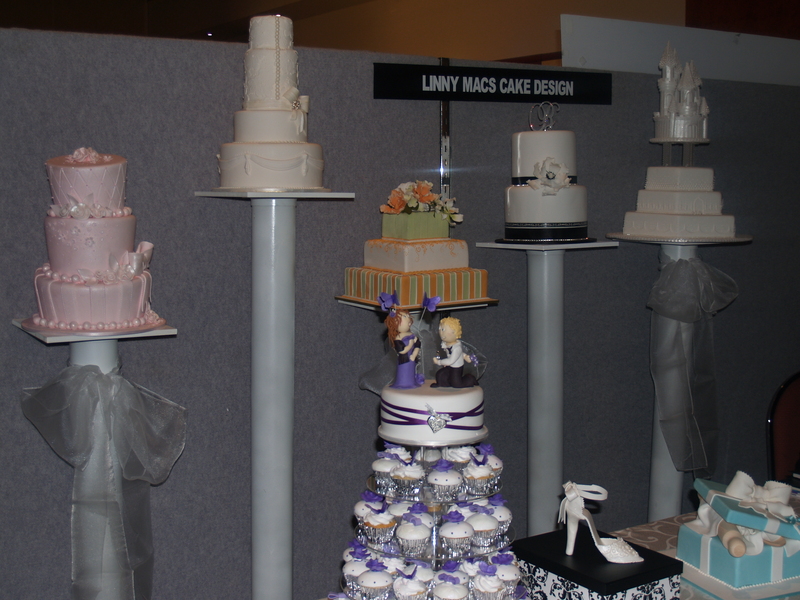 It was a great day at the Macarthur Wedding expo held at Wests in Leumeah. We saw hundreds of people and they got to see my cakes. Being my first wedding expo I was a little nervous this morning but I was pleasantly surprised at how well we were received and how lovely everyone was. My niece Claire and my wonderful mum Anne were there to help out and they both did a great job….Thanks to my most favorite ladies in the world. For those who visited my stall, thankyou, I hope you liked what you saw. Just a reminder that what was on display were samples of what I can do, however my repertoire is far greater than that on display and all cakes can be individualised or a brand spankin’ new design can be created by me or as a collaboration with you.